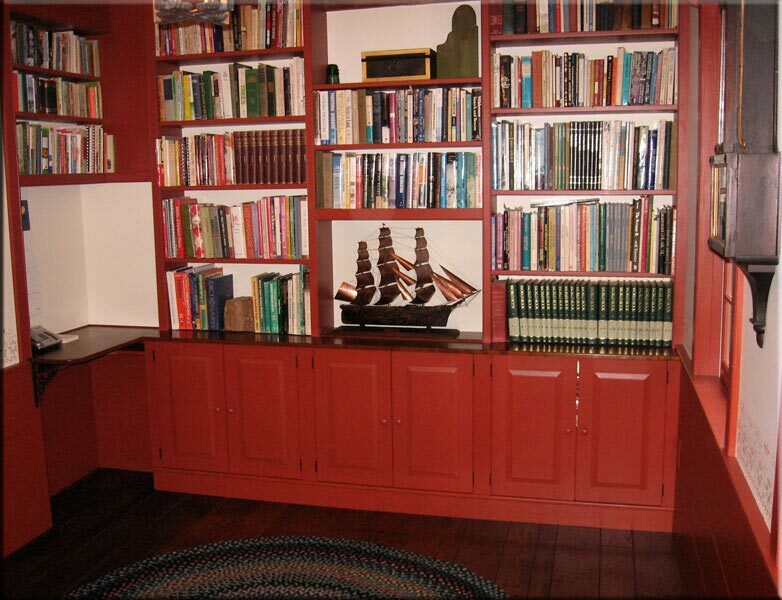 Fine craftsmanship is the foundation for quality furniture. 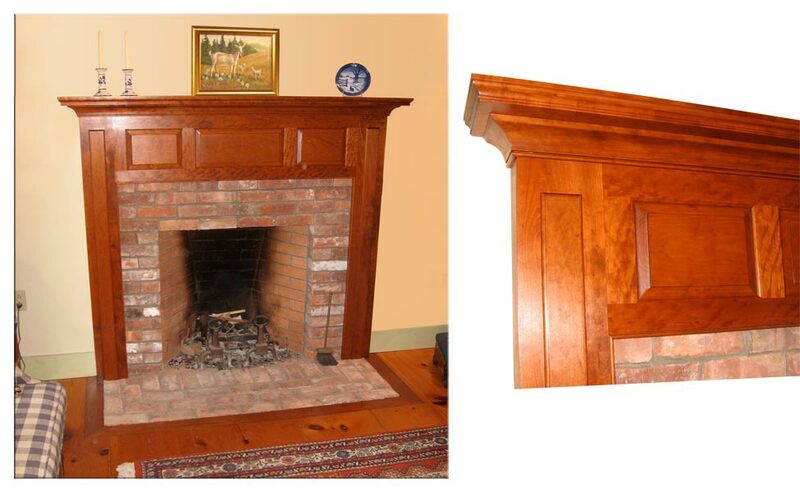 Click on any picture to view the larger image. 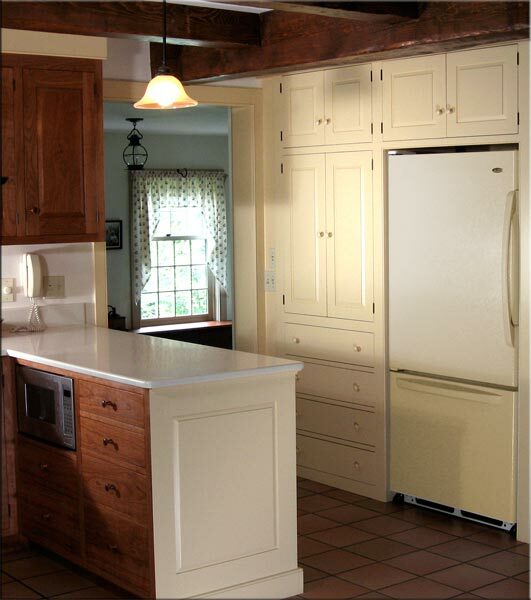 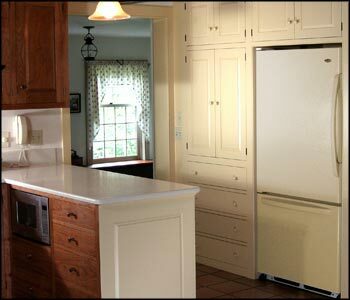 An old-fashioned kitchen is still possible with the right cabinetry. 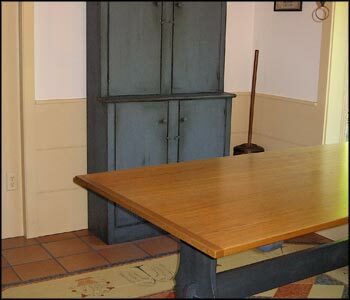 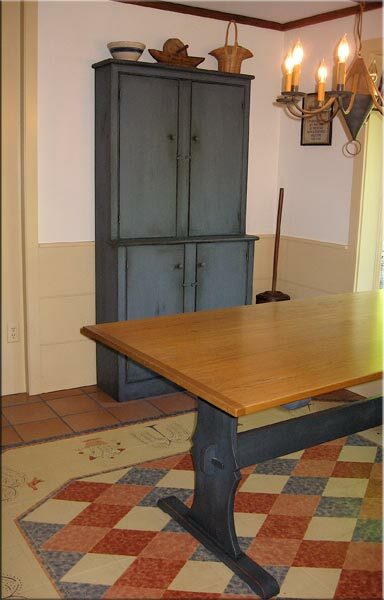 Matching trestle table and stepped-back cupboard accented by a reproduction hand-painted floor cloth. 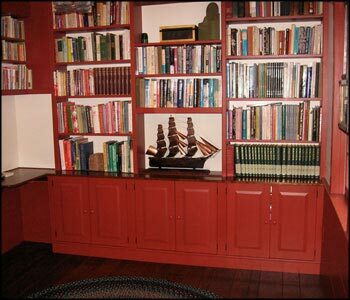 Beautiful cabinetry built right into the decor of the family room, den, or office. 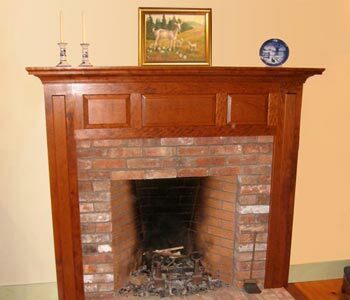 Hand-crafted and antiqued cherry mantelpiece. 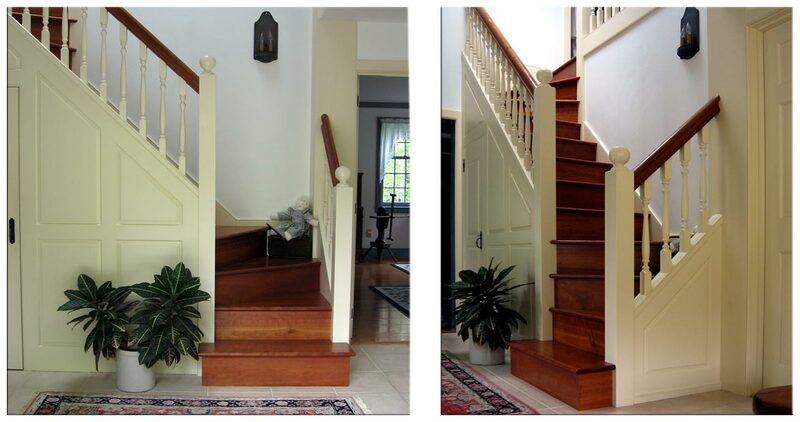 Even something as functional as a staircase can be a finely crafted centerpiece.